The weather today on Foulness Island, Essex, UK is a rainy 53 degrees today. 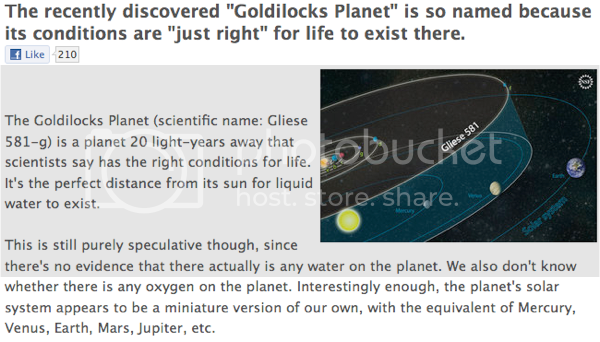 Sounds like a lovely place to live. *shakes head no* Seriously, why would they name the island "Foulness Island"? Any of my UK readers know the answer? I'll tell you what's a foulness island... the 405 this morning, as traffic is bumper to bumper. Actually it's not really an island, it's just foul. 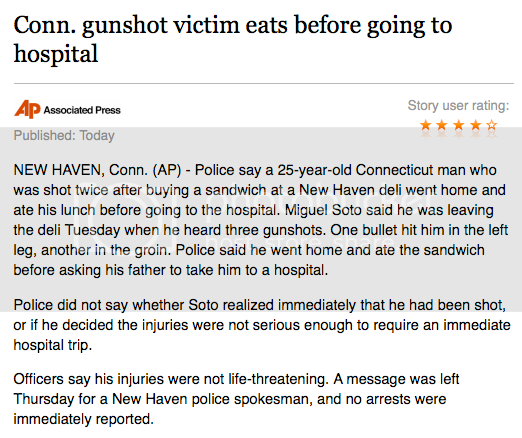 In the news, a Connecticut man was shot twice after buying a sandwich at a deli. Once in the leg and once in the groin. He didn't feel like they were life threatening, so he went home and ate his sandwich before asking his father to drive him to the hospital. Must have been some sandwich. As a matter of fact, if I was shot, I'd eat a deli sandwich from Tony's Deli in Burbank before going to the hospital. 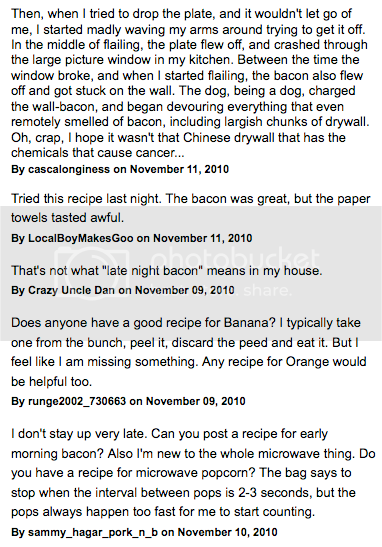 Thank goodness we have someone like Rachel Ray who can tell us how to make "Late Night Bacon". 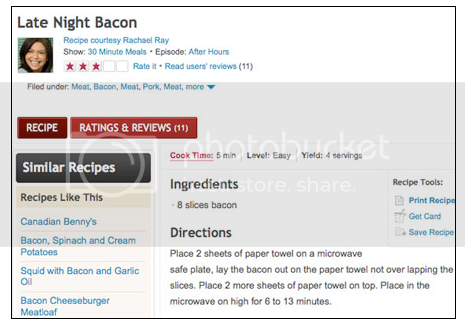 This actual, very complicated recipe is posted on the Food Network website. But what's even better than the recipe, are the actual comments left by people who read the recipe. 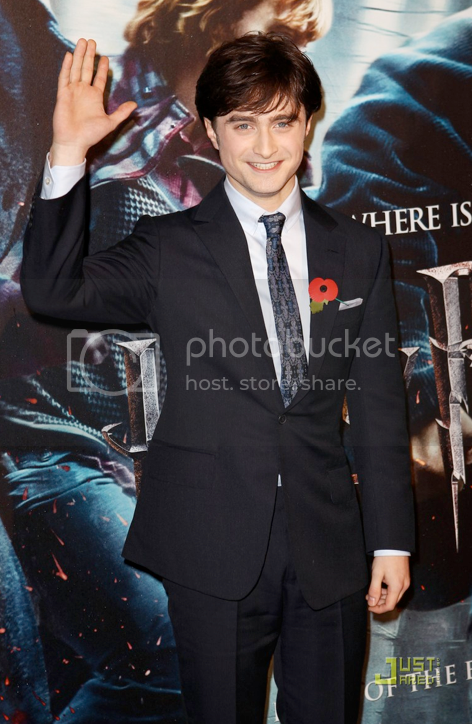 OMG OMG OMG... it was the World Premiere of Harry Potter and the Deathly Hallows Part I last night in London! Can you even contain yourself? I can't! And look how adorable Emma Watson is in that picture. Speaking of Wizards... Hey, WTF??!! How am I the first one commenting today? I love Fallopian Friday! LOL!! It's odd to me that a man would be ok with being shot in the groin as minor. Hmmmmm? Angie...I still think you are crazier than ever. 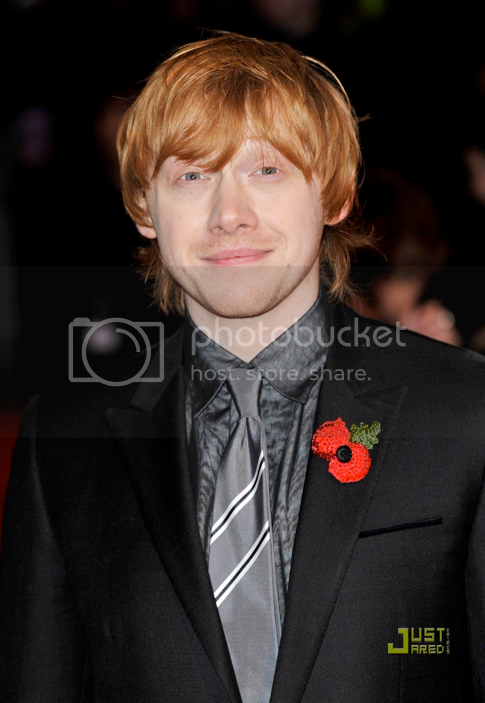 Buuuuut...you're still hot. Emma is totally adorable in that pic! That girl has great fashion sense and even tho I want her long hair back...still a cutie. Am I biased? Maybe..my daughter, also Emma, is a fashion guru in the making, as well. I agree... Emma is adorable, BUT I miss her long hair!! !